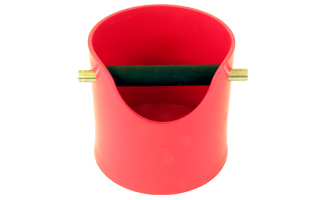 Free Standing light weight Knock-Box, just right for use with coffee pods, or ground coffee. Ideal foe domestic use, extremely durable material, with rubberised Non-Slip base. Easy to clean with replacement rubber sleeve for knock bar available.